The global sea level rise hasn’t been kind to the 4670-odd miles of densely populated Indian coastline. The latest iceberg calving in Antarctica has only exacerbated problems. A trillion-tonne iceberg has disintegrated from Antarctica’s ice shelf, sending ramifications across the globe, and there’s little to nothing that can be done in response. Larsen C is one of the largest ice shelves of Antarctica, with an area of about 17,100 square miles. Similar to other ice shelves, Larsen C has been prone to calving for a long time. In this respect, iceberg calving is a natural phenomenon, albeit with a catch. The rising global temperatures is superseding natural calving agents like warm currents, thereby accelerating the rate of iceberg disintegration. The calving of Larsen C was foreshadowed decades ago by a study conducted by a group of reputed scientists. 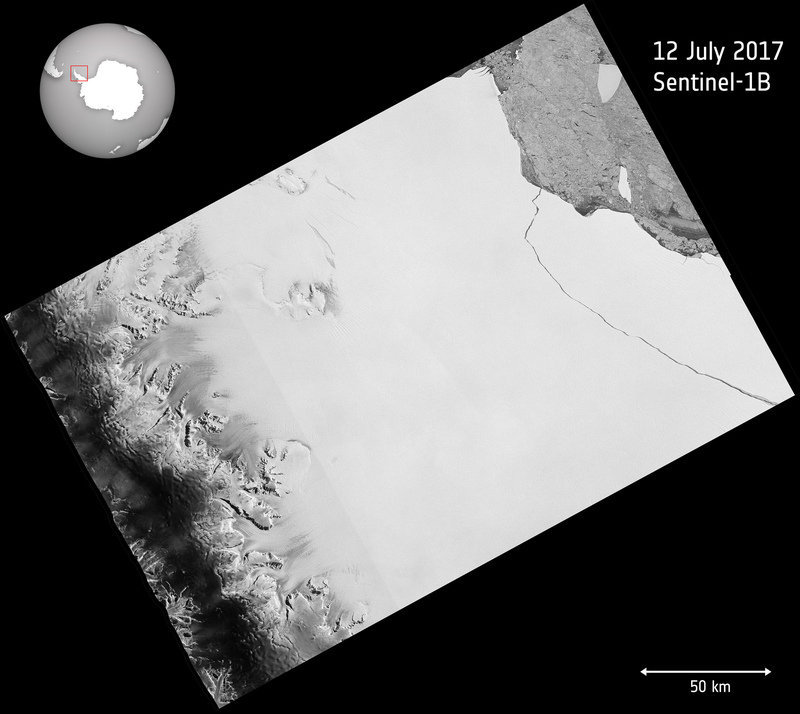 This current calving began in mid-2016, with a long rift on the surface of Larsen C. The cracking continued for a year, finally culminating in the breakage, and resulting in the formation of a colossal iceberg that has since been named A-68. Now, A-68 is on the loose and is hazardous. It weighs roughly a trillion tonnes and comprises an area of 2240 square miles. Furthermore, it has the potential to increase sea levels by a whopping four inches. The consequences of such a rise in sea level will almost certainly be detrimental to many countries — especially India. According to the United Nations, by 2050, 40 million Indians living along the coastline are at risk from rising sea levels. Coastal cities like Kolkata and Mumbai will be particularly jeopardized. India isn’t braced for such a predicament — yet. But migration to non-coastal regions to escape the impact of sea-level rise at the coast will have repercussions; where will the migrating people all live? Some scientists are downplaying the immediate impact of A-68 on global sea levels, but the future possibilities cannot be ignored. The impact of rising sea levels on India is apparent already in the swampy Sundarbans, a UNESCO World Heritage Site in West Bengal. People living in and around the mangrove forests are gradually moving inland. The sea is closing in, engulfing a significant amount of land. The residents are living in constant fear. The melting of colossal icebergs would be a final nail in the coffin for places like the Sundarbans. Since the 1940s, the Earth has been getting 0.5 degrees warmer every decade. Political propaganda and gross negligence in taking action has hindered many actions and policies required to curb climate change. In the light of this latest iceberg calving incident, tackling climate change is essentially a race against time.